If you read my messages on a regular basis, you are interested in self-development and ongoing education, and I applaud you for that. Please always remember, I am not here to make assumptions. I am here to provide a different perspective. Whatever your job is, you’re a problem solver. When the pressure is high and people feel stressed, they often become very frustrated and start blaming each other. The “it’s not me, it’s you” syndrome is detrimental for any corporate culture, and often indicates underlying emotions such as fear, bitterness and hopelessness. 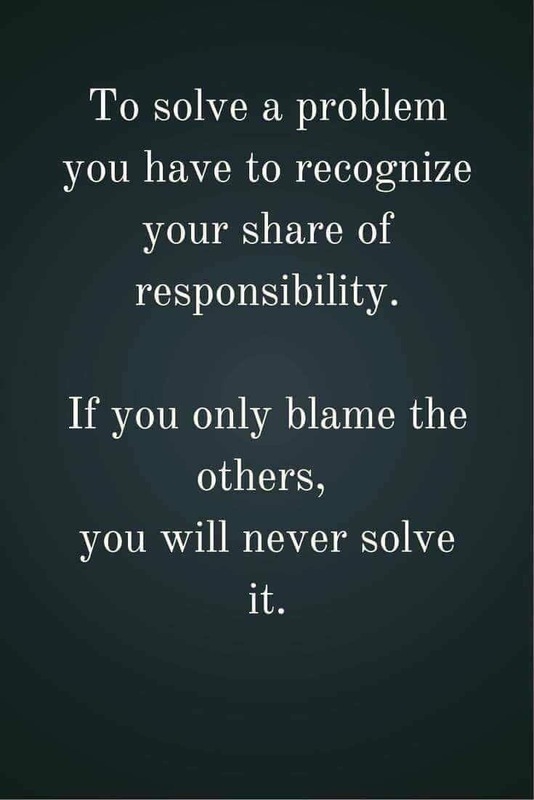 Here is a simple tip that will help you to assume responsibility and acknowledge that you may be part of the problem. When you point a finger at someone, there are three fingers pointing back at you. I thought you would like that. Happy Monday!